Stephen and Lynda Kane, authors of Hidden Secrets of Real Health, have travelled the world, following the energies they research in a totally experiential way. Lynda and Stephen have worked together for over 15 years, having come from such disparate backgrounds as Chief Psychologist for British Airways and Director of the Institute for Advanced Health Research and Arcadia - a group focused on the cultivation of many forms of higher awareness. They now run Time for a Change at www.realhealth-online.com – a web-based entry point for anyone interested in developing the energies that determine their quality of life and their awareness of human and environmental energy. On a clear day, whenever I happen to look out of the window to my right, I see four majestic, snow-covered peaks rising up into a shining blue sky. Our house is quite high up the side of another mountain and, from where I'm sitting, I can see far out across the wide valley in between. Each of the peaks across from here, emits its own particular energies, some of which powerfully affect the lives of those who live nearby. Most of these energies tend to accumulate in the valley, but a few shoot straight out in all directions. Our house lies directly in the path of one particular, pale yellow energy that is emanated by the most "volcanic"-looking of the four peaks. Because of the location and design of our home, it receives and holds an unusual quantity of this particular mountain mana. For us, this type of mana offers many benefits, all of which can be described as different forms of awareness. Although I often write about all kinds of practical benefits of various environmental and bioenergies – health, wealth, relationships and so on – the bottom line is always to do with your awareness. Quite simply, the more we are aware of any particular area of our lives, the more we are able to positively influence it. In fact, any problem or lack of fulfilment that you experience reflects a lack of one or another form of awareness. In other words, your problems are your guides, showing you your need for more of one or more forms of awareness. When I first arrived here, I was suffering a "health karma" in the form of a life-threatening spinal infection that had defeated more than 20 doctors and almost three years of taking 4 antibiotics each day. In Hidden Secrets of Real Health, I described how I arrived at a solution in terms of cultivating my "health energy awareness" – which is the "core" subject of the book. 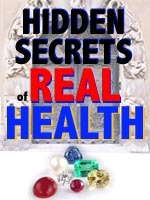 One of the "seals" or techniques included in Hidden Secrets of Real Health (page 115) is called Live in a High Energy Place. The reason we moved here was to do exactly that. The mana emitted by the mountain across the valley has enabled us to develop areas of our awareness in ways that have dramatically benefited and changed our creativity, work, health and relationships. The BodyTuning test included with Live in a High Energy Place is called the "Positive Sky Test." The reason for this is that the best place for you to live is not determined by people, work, mountains, sea views or any other common cause of choosing to live here rather than there. The best place for you to be is under a sky that holds the awareness-developing energies you currently most need. The energies that make life work are called manas. All manas enter the world from the sky. Each area of the world is much more receptive to some manas than others. Thus, some of the manas of places just a few miles apart are usually very different – but the totality of that difference as far as your life is concerned can only be read in the sky. The mountain across the valley from here receives, then distributes, a mana that empowered me to arrive at a solution for my health problem. The same mana offers other benefits to other people – those for whom the local sky is also positive. But this mana also harms many people's energies, thus damaging their current and future lives. They would generate more fortunate futures for themselves by living elsewhere. The quality of your future life is determined by the ways you are developing – consciously or unwittingly – your awareness now. And the most fundamental influence on your awareness is where you live. Of course, many people would say, with good reason, that there are much more profound influences on your life than where you happen to be. Your upbringing, education, relationships and work are obvious candidates. Who could disagree? These are, clearly, profound, life-determining forces in their own right – but they aren't the bottom line. Each of us is born with karmic challenges lined-up, waiting for us. They first appear as dark filaments entering the crown immediately above our heads, then start to descend into our bodies over time. How we live our lives – and how we respond to the challenges that appear – ultimately determines what we, ourselves, increasingly become over the course of our lives. Our upbringing, education and all our various activities introduce their energies into the mix, but where we are doing whatever we are doing has a much deeper influence. I once read that the original "fruitarian", Arnold Ehret, died as a result of a coconut landing on his head – an event that clearly resulted from being in a certain place at a certain time. It's clear because we can all perceive coconut trees, coconuts and heads and thus can easily make sense of Arnold's change of status from being alive to dead. 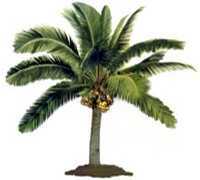 Unfortunately, we all tend to suffer the consequences of other "falling coconuts" we cannot so clearly perceive. A sky that isn't positive can be graded from "fairly neutral" to "extremely hostile." Since people rarely develop their energy awareness, they experience unfortunate experiences and states as just seeming to come "out of the blue" – an appropriate term since it's technically accurate. In fact, all problems result from accumulations, over time, of harmful energies in the body – many of which cease to grow, or are even reduced, through living under a positive sky. No matter how we are raised or educated, or what we do for a living, we are challenged by our karmas and strengthened or further damaged by our choices. The choice of where to live when affects every part of our awareness. You may choose to study this, work at that or meditate on the other but all the time you are exercising your choices, your body's energies are being directly, powerfully influenced by where you are doing these things. Quite apart from the beneficial energies mediated by the local environment, a positive sky directly transmits an energy to your crown then into your heart. This energy – or starlight mana – starts to develop the relationships or resonances between you and the energies of the world around you. The more your energies harmonize with those of your environment, the more you "make friends" with your environment which then empowers you with the energies you need for your higher awareness to unfold. I may not know much about astrology, but I do know that it places great import on where we are when we're born or, perhaps, the nature of the local sky when we were born. So the idea of living under a positive sky isn't that much different. It's simply an extension of the, "What was the energetic influence of when/where I was born?" question to, "What is the energetic influence of where I am now?" None of us can do anything about the sky where we were born, but we have a lot to do with where we live right now. I know that no-one in their right mind is going to pack their bags and head for the hills tomorrow, in search of their positive or life-enhancing sky. However, if you happen to be thinking about moving anyway, just bear in mind that your decision will affect almost everything in your future – for better or for worse – and that obvious, practical considerations are not all that determine how good your future life will be. 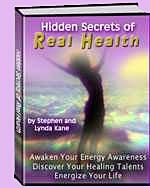 Stephen & Lynda Kane are the authors of Hidden Secrets of Real Health – over 170 unique or novel ways to cultivate the energies underlying your health and develop your energy awareness. Lynda and Stephen have worked together for over 15 years, having come from such disparate backgrounds as Chief Psychologist for British Airways and Director of the Institute for Advanced Health Research and Arcadia – a group focused on the cultivation of many forms of higher awareness. 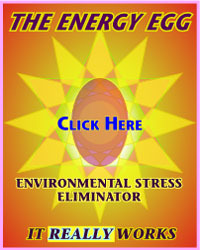 They now run Time for a Change at www.realhealth-online.com - a web-based entry point for anyone interested in developing the energies that determine their quality of life and their awareness of human and environmental energy.